Pizzano returned to Columbia University to complete his degreee in political science. After his first full season as a professional baseball player, Dario Pizzano stayed the course. Always working. So instead of a little down time back home in Saugus, he went back to school. With the fall semester already in full swing, he returned to Columbia University to finish up his political science degree. 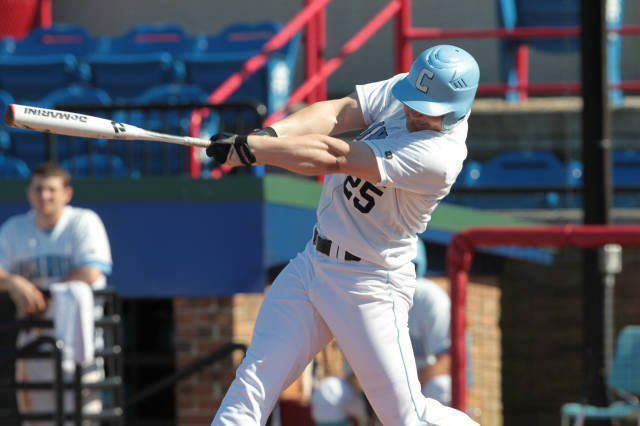 “He sets lofty goals for himself on and off the field,” said Columbia head baseball coach Brett Boretti, a Beverly native. Pizzano graduated in December with a 3.0 grade point average. A relentless competitor, Pizzano has delivered when he has set his mind to it, dating back to his formative years when he helped the Saugus American squad reach the US final of the Little League World Series in Williamsport, Pa.
At 5-feet-1, 98 pounds, he was sandwiched second in the lineup between Tyler Grillo and Joe Kasabuski, and listed Andruw Jones as his favorite player. “I loved everything about that whole experience,” said Pizzano. Now, as a minor league prospect for the Seattle Mariners, the crowds are substantially smaller at stops like Pulaski, Va.; Clinton, Iowa; or Everett, Wash. But he continues to grind, determined to realize his dream of being a big-leaguer. He has excelled at every level. By his junior season at Malden Catholic, he was a captain. As a senior, he hit a robust .520 and was the Catholic Conference Player of the Year. “He really started to excel his junior year,” said former Malden Catholic coach Steve Frecker, now the head coach at Saugus High. The summer after his senior year, with the assistance of Frecker, Pizzano suited up in the Intercity League, for the Andre Chiefs. At Columbia, the left-handed hitting outfielder was the co-Rookie of the Year in the Ivy League after batting .374 with 12 home runs. He was a first-team all-Ivy pick all three seasons for the Lions, setting the school’s career home run record (25) in the process. “He’s a hard-nosed guy,” said Boretti. Pizzano played two summers with the North Shore Navigators of the NECBL before the Mariners selected him in the 15th round of the 2012 amateur draft. In his first at-bat as a pro for Pulaski in rookie ball, two months after his final game at Columbia, he lined a single to center field. He was playing for Everett, in Class A, by the end of the season. Last season, he broke camp with the Class A Clinton Lumberjacks, who play in the pitcher-friendly Midwest League. “It was different and a bit of culture shock, living in Iowa,” said Pizzano, noting that much of his life had been spent around Boston and New York City. His 40 doubles were the most of any Mariners prospect. He played in the Midwest League All-Star game. There, he was reunited with Devon Travis, a Detroit Tigers prospect who played on the team from Boynton Beach, Fla., that eliminated the Saugus Little Leaguers in the US final a decade earlier. Last fall, he was back in Arizona for the instructional league before finishing up his coursework in New York City. Classes had already started, but he convinced his professors that he would make up for time lost. He did so in a grueling five-course flourish. This week he will continue his quest, at the Mariners’ spring training complex in Peoria, Ariz.
“I have to keep in the back of my head that every level you go up, these guys go up, too, and they’re getting better,” said Pizzano. “So continue to work, keep the right mind-set, keep a strong mentality, and I think things will fall into place. Craig Forde can be reached at craig.forde@globe.com. Follow him on Twitter @OnDeckBDC.